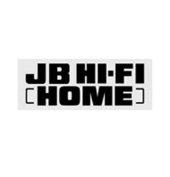 JB Hi-Fi is Australia’s Largest Home Entertainment Retailer. Famous low prices, biggest brands and a huge range. Buy LED LCD, LCD & 3D TVs, Computers, Laptops, 2-in-1’s & Tablets, iPads, Headphones, Wireless Speakers, Mobile Phones & Home Theatre. JB Hi-Fi has all the Music & Movies you love plus stacks of Games & Game Consoles. Check out the latest Car Sound & Entertainment, Hi-Fi, GPS nav, Digital Cameras, Action Cameras, Drones, Fitness Watches, Activity Trackers, Printers & Ink, Memory Cards, Accessories & Musical Instruments plus JB Hi-Fi HOME has a full range of Whitegoods & Appliances. Grab a JB Hi-Fi Gift Card, it’s the gift that everybody loves. Get into JB Hi-Fi and grab a crackin’ deal..